There are lots of great rides for kids at Universal Orlando Resort, from little ones to big kids at heart. You can get up close and personal with some of your favorite cartoon characters like the minions, Shrek, and more! Today, we wanted to share with you our list of the top five rides for kids at Universal Studios Florida! 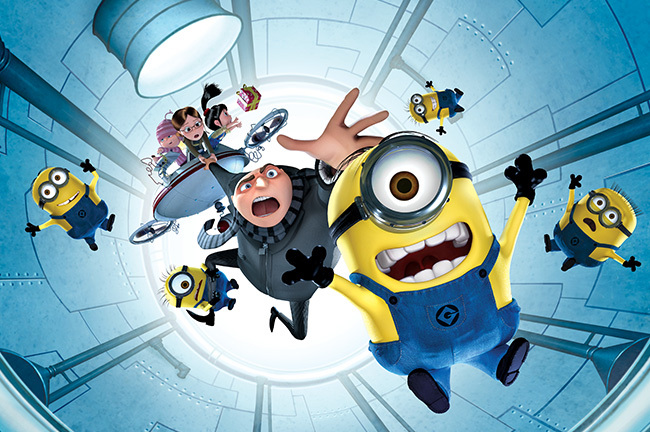 Despicable Me Minion Mayhem: You will undergo Minion training followed by an unforgettable adventure with Gru, his girls, and the minions in this 3-D ride the whole family is sure to love. Shrek 4-D: This incredible 4-D show features everyone’s favorite ogre, Shrek, and his sidekick, Donkey. You’ll go on an incredible adventure with Shrek and Donkey to save Princess Fiona from Lord Farquaad. Woody Woodpecker’s Nuthouse Coaster: This kiddie coaster is the perfect first roller coaster for your little ones. Designed and built by that wacky woodpecker, your journey will take you through Woody’s nut factory. E.T. Adventure: You get to board a flying bicycle to help bring E.T. to save his homeworld. You’ll sneak E.T through the woods then fly high over the city before you end up on the Green Planet. MEN IN BLACK Alien Attack: You will get to become a top secret agent trainee where you will chase and zap aliens all over New York with Men in Black. The whole family will love to see who can get the best score and zap the most aliens! What are your favorite rides for kids at Universal Studios Florida?